Visitor Centre - Try a Custom Designed Log Visitor Centre. Inovative design and optimised areas for shopping, gifts, information, seating and snacks makes our custom designed visitor centres with their huge vaulted ceilings and spacious feel places to enjoy the experience of visiting your establishment. Available in almost any size and through consultation with our design team we are pleased to offer a bespoke service to our customers starting at the first step by making sketches and preparing budgetary costings for the supply and build of your design. The Mare & Foal Sanctuary in Devon was completed during 2009 and now forms the main administration facility for the charity with offices for staff and visitors, meeting rooms, stores and a very lovely reception where guests are greeted in what can only be described as the just one of the WOW factors you will experience whilst visiting. 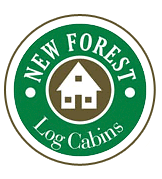 New Forest Log Cabins were very proud to have been associated with the design and build of this wonderful log building that enjoys an ambiance and feel about it that you simply just don't get in brick buildings and the Mare and Foal Sanctuary are already making saving on their energy bills by opting to utilise an Eco Friendly and Energy Efficient Log Building. Redwings Oxhill Rescue Centre in Warwickshire has a brand new café, gift shop and information centre on site. tranquil setting. Redwings Horse Sanctuary is as the name suggests, a place to see some of the rescued and some just big pets of loving owners who could no longer look after their horses and donkeys. So what with the taste of freshly served food and the atmosphere in this fantastic Visitor Centre / Cafe, you will have an enjoyable few hours guaranteed. The Hope Nature Tea Rooms are located at the Southwick Country Park in Trowbridge Wiltshire. Measuring 18 x 12mtr this design could just as easily be suited to a Club House or Pavilion. Built to meet full Building Regulations, this design incorporates Kitchen, Staff Room, Shower Room, Toilets, Gift Shop and a large lounge area where customers can relax and enjoy a pot of tea.